We live in a miraculous age, where there's a pill for everything. Unfortunately, many times these pills have side effects - and we don't always save all of our fine print. Is your dry mouth related to the antibiotics, or a new symptom? Why are you so tired all of the time all of the sudden? Can you take your antibiotic with your iron supplement? Here's my links for looking up medications, vitamins, and interactions. RxList - Click on "Consumer" for information; "Advanced Consumer" will give you the actual chemical structure, which you probably don't need! WhatMeds - This site is mostly dedicated to mental health, antidepressants, and meds for autism and other special needs. Has outside links to other helpful sites at the bottom of each medication entry. Vitamin Encyclopedia - anything you wanted to know about vitamin and minerals. Herbal Encyclopedia - popular herbs and supplements, including safety precautions. Drugs.com - the mother of all prescription sites. Drug interaction checker, news, pill identifier, and more. Works for Me! 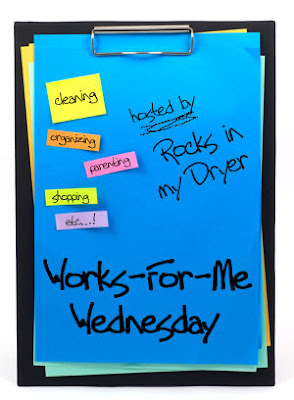 See what works for everyone else at Rocks in My Dryer.